GALICIA TURISMO TURISMO DE GALICIA | Events | Do you like surfing? 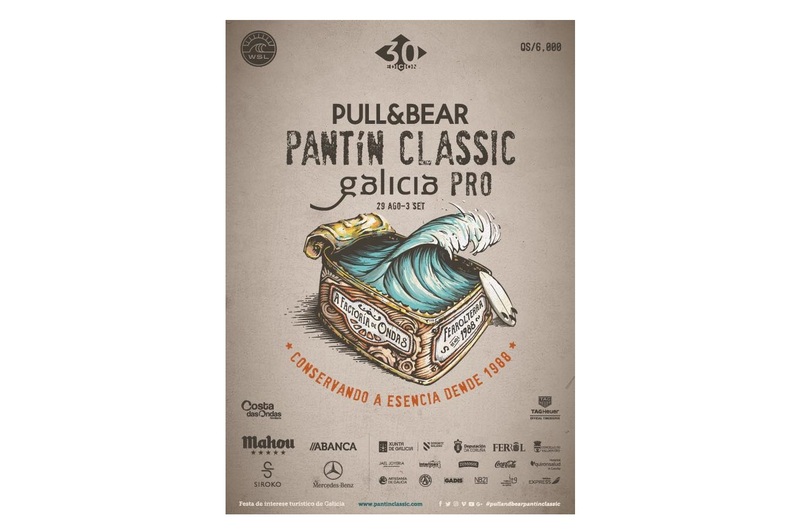 Discover the Pull & Bear Pantín Classic Galicia Pro! Do you like surfing? Discover the Pull & Bear Pantín Classic Galicia Pro! As every year, at the end of August and beginning of September, the Pull & Bear Pantin Classic Galicia Pro surfing championship will be held on the beach of Pantín (Ferrolterra region). Did you know about this surf party? Its history goes back to 1988, year in which for the first time an event of these characteristics was realized in the community without knowing very well if it was going to work or not. But it did, and that year the championship ended with the victory of Jorge Imbert, then champion of Spain and who had come to the challenge almost by chance. Since then, every year the most outstanding figures meet the world of surfing, bodyboarding and windsurfing. That is why, over the next few years, the tournament was growing up, becoming part of the world championship in 1993. In 2009 received the award for the best sporting event in Galicia (awarded each year by the Secretaria Xeral do Deporte Galego), in 2013 it was awarded the Gold Seal of the Concello de Ferrol for his 25 years of promotion of the region and it is in 2016 when it is declared Festival of Tourist Interest of Galicia. This year, the Pantín Classic Galicia reaches its 30th edition, enjoying a great international prestige and a great hearth. In fact, it is the second oldest surfing championship in Europe, and the fourth in the world. They will count with great surfing figures such as Federico Morais, Joan Duru, Kanoa Igarashi and Goni Zubizarreta in the men’s box, and Coco Ho, Pauline Ado and Leticia Canales in the women’s. One of the novelties of this year is its duration, since it will be extended nine days (from August 26 to September 3). In addition, there are many activities planned and concerts that will make us enjoy a unique day, because it’s exciting, different and takes place in a wonderful enclave. Because in the Pantín Classic the party is not only in the sea, and we are facing more than a surfing championship. In the 4,000 square meters that will occupy the assembly of this edition there will also be a space for shops, food trucks, skate ramps and colloquia on sports medicine, as well as a tourist assistance office. In their commitment to environmental conservation, environmental talks will also be held and waste collection will be carried out on the beach where the event takes place. It is, in short, a magical event in which each wave remains engraved in a corner of our memory, although we are accustomed to see them. And if we are not, the experience is virtually unique. As the famous surfer Gerry López said, “surfing is dancing with the waves”. And on the Galician coast that dance is a spectacle. Last year more than 55,000 people visited the beach during this championship, and the live broadcast over the internet exceeded 132,000, but this year promises to break all records. If you also want to join, you know where and when you have an appointment. The Pantín Classic never disappoints! ← Do you know the Romería do Naseiro? Come to Viveiro!